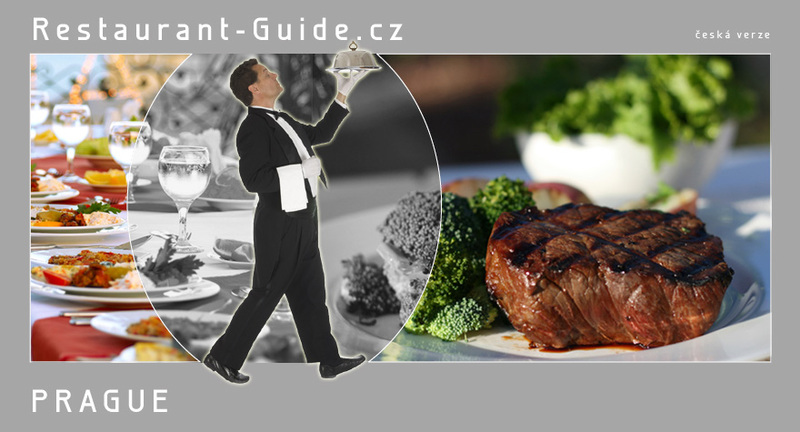 Do you want to celebrate Christmas with your family and friends in one of the outstanding Prague restaurants? 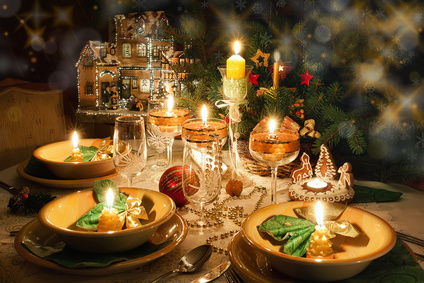 We bring you a selection of restaurants with a special Christmas menu for Christmas Eve day. Luxury restaurant Ungelt has prepared 6 course Menu for Christmas Eve starting with welcome drink, terrine de Foie gras and Sauvignon Blanc soup. The main course is baked monkfish with cauliflower purée and after plum sorbet you may taste ballotine of guinea fowl with mushroom ragout. At last, they serve frozen chestnut parfait. The U Malířů Restaurant in Mala Strana has prepared a 5-course festive menu for you on Christmas Eve dinner. Duck breast ham, foie gras mousse, quail consommé, vegetable julienne and mushroom ravioli, filet of trout, barley risotto, cauliflower, mushroom and horseradish sauce, grilled fallow deer, chestnut stuffing and potato purée with mascarpone, gingerbread fondant, rum sauce and ice cream. Santini Garden, restaurant below the Prague Castle has prepared Christmas menu. Veal tartar with quail egg, beef consommé, grilled fallow deer steak with chestnut pureé or fried carp with potato salad and gingerbread fondant with pear sorbet. Restaurant Triton has prepared Christmas eve 5 courses galadinner menu. Mousse of deer saddle with Foie Gras pralines, beef consomme with liver quenelles and noodles, grilled catfish with pumpkin purée, slowly roast saddle of deer with potato tips and black currant sauce or fillet of carp with potato salad, chocolate tarte with cognac pralines. Menu incl. aperitif, coffee or tea & Christmas sweets. Live piano performance. Restaurant COMO prepared special Christmas buffet menu. Prague ham off the bone, chickpea hummus, California roll with crab and avocado, whole roast pig, skewers of marinated butterfish, fried Christmas carp, turkey breast with Christmas stuffing, traditional Christmas potato salad and much more. From desserts apple strudel, mini rolls, tartlets, Christmas pastries. The price includes unlimited consumption of wine, beer, soft drinks, coffee and tea. Live DJ. Roman Paulus, executive chef of restaurant Alcron, has prepared special 7 course menu for Christmas Eve. Tartare of carp, foie gras, traditional fish soup, scallops followed by duck breasts with honey and beef tenderloin. At the end rosemary mousse. Welcome drink is included as well as non-alcoholic drinks, coffee or tea. Restaurant in Art Nouveau style in luxury hotel Paris, Sarah Bernhardt Restaurant has prepared special 5 course Christmas menu. Crab tartar with beluga caviar, veal consommé with cheese dumplings and foie gras, veal Wellington or grilled cod and pancakes with ice cream and fruits flambés, coffee or tea. Welcome drink, Port wine or cognac included. Christmas menu at the Ada restaurants in the hotel Hoffmeister consists of 5 courses. You may look forward to veal tartar with truffle and wasabi foam, octopus with dill bulgur and béarnaise sauce, then topinambur soup with smoked hay, lamb chops with chestnuts and fox mushroom soufflé or tuna fish with fennel, spinach, baby carrot and watercress sauce. At the end, chocolate mousse. Welcome drink is included. Restaurant Ginger & Fred at 7th floor of famous Dancing house, with great view of Prague, has prepared 5 course menu for Christmas Eve dinner. After shrimp salad with pineapple-mango salsa we may continue with roasted duck foie gras with forest mushrooms, duck confit and port wine duck jus. Next is sturgeon with spinach, potato purée and Osetra caviar, prime striploin steak with parsnip purée and truffle croquettes. At last, cheese selection and chocolate dessert. 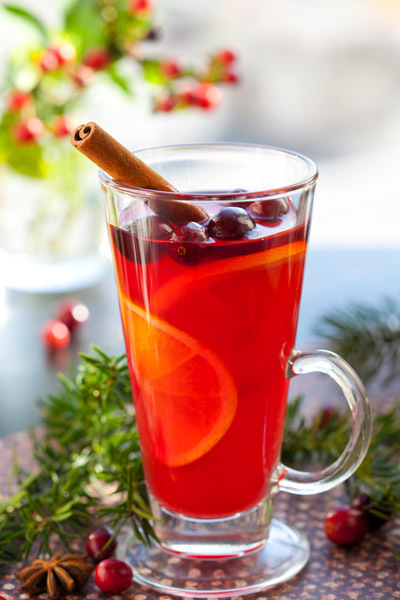 Let yourself be pampered with Christmas atmosphere at fine Elements Restaurant Prague situated in The President Hotel. 6 course menu consists of beef tartare, lobster bisque, levander raviolli with tomato consomé and you may look forward to fish meals such as sea bream and vongole. Finally, we have Italian Christmas bread Panettone. Luxury restaurant Zlatá Praha in hotel InterContinental has prepared Christmas gala dinner. 4 course menu consists of terrine de Foie gras or fish velouté, turkey roulade with cranberry stuffing and chocolate mousse with cinnamon. Welcome drink included. On 25th and 26th December Christmas brunch for a whole family. 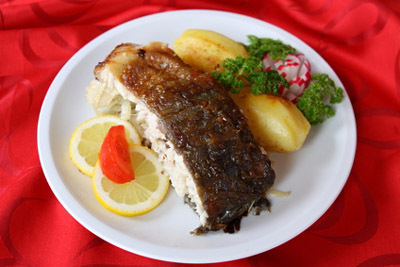 Restaurant Salabka has prepared 3 or 5 course Christmas menu. The menu consists of goose créme brulée, pumpkin cream soup, river fish of the day, venison offers roe deer neck and there is also a vegetarian dish of the day. At the end, British eton mess. Petit fours and coffee are included. Hergetova cihelna, restaurant by the Vltava river, has prepared special 4 course menu for Christmas. Crispy pork skin with quinua and mushrooms salmon gravlax with potato rösti, grilled duck breast with croquette and fennel compote and pear tarte Tatin with ice cream and Chantilly cream. Noble restaurant Kampa Park at Vltava river next to Charles Bridge has prepared luxury 4 course menu for Christmas Eve includes Foie gras torchon, pike perch with spinach-leek ravioli, Black Angus beef rib with topinambur and chocolate mousse with prune ice cream. Vegetarian 4 course menu also available. Restaurant La Bodeguita Del Medio has prepared special menu for Christmas Eve. Fresh oysters, gratinated snails, fried carp or veal cutlet with traditional Christmas potato salad and strudel with ricotta and berries. On 24th and 25th December, you may experience a festive Christmas dinner at the Terasa U Zlaté studně Restaurant. It offers marinated Canadian lobster, duck foie gras, carp velouté. Next is poached halibut on cuttlefish risotto, lamb chop and sweetbread. Finally, coconut cream or homemade chocolate praliné and petits fours. Noble restaurant Coda has prepared 7 course menu for Christmas. First, Prague ham terrine, duck breast and Buckwheat Jacob, then traditional Czech fish soup and after pear sorbet you will enjoy roast saddle of veal with gnocchi and Morrel sauce. Fried carp fillet is not missing. The menu finishes with plum jam ravioli. Restaurant Piano Nobile in Villa Richter next to Prague Castle has prepared 4 course Christmas menu. Duck foie gras parfait, then black root cream soup with St. Jacob´s scallop, after punch sorbet you may look forward to halibut with buttery-caviar sauce and cauliflower purée or roasted turkey with Christmas stuffing. Finally, creamy chocolate dessert wit cherries. A glass of prosecco to welcome you also in the price. The Restaurant Home by UNIC prepared a 5 course Christmas Menu served on Christmas Eve. A glass of prosecco is followed by amuse bouche, the menu continues with foie gras and traditional fish soup. For the main dish we have a pikeperch and those who prefer meat will be pleased by venison, deer saddle. Finally, salted chocolate with ice cream. Luxury restaurant Augustine offers 5 course menu for Christmas. Terrine of duck confit leg with foie gras and air-dry breast, rainbow trout with caviar, barley risotto, beetroot and whey sauce, the menu continues with deer loin with potato soufflé and Merlot sauce. Dessert is represented by apple mousse with Calvados, slated caramel and cinnamon. Come and enjoy a special festive menu with a view on Prague from the Oblaca Restaurant on the Christmas Eve. Within 4 course menu you may look forward to foie gras marinated with star anise and gingerbread purée, traditional Christmas fish soup with root vegetable and fried Trebon carp or roasted zander with vanilla purée, buttered peas and black lentils. Finally, cinnamon panna cotta with apples, nuts and black caviar. Luxury restaurant Deer offers traditional 4 course Christmas menu - Burgundy snails in herbal butter, traditional Christmas fish soup, fried carp with fish burger, sweet and sour vegetables and potato purée or Wiener schnitzel with potato salad. A sweet dessert here is represented by Christmas gingerbread with punch ice cream and fruit compote. Restaurant Terasa U Prince with beautiful view of Prague Old Town Square has prepared traditional 3 course Christmas menu, includes traditional creamy fish soup with croutons, Wiener schnitzel or fried Trebon's carp fillet with light potato salad and homemade ginger bread with warm vanilla foam and plums marinated in Armagnac. Come and enjoy the “Mozart Dinner” in the historical Boccaccio Hall with classical music. There are two 4 course menus you may choose from. They consist of venison pate with cranberry sauce, pea soup with croutons, baked zander with potato and pumpkin purée or veal steak with shallot ragout and truffle oil. Finally, créme brulée with pistachio pieces decorated with raspberries. Welcome drink also included. Restaurant Hard Rock Café has prepared 3 course menu for New Year´s Eve dinner consists of a varied range of dishes. Grilled Salmon with vegetables and mashed potatoes, BBQ Ribs, Smoked pulled pork, grilled chicken breast with herbs, Legendary burger, Christmas pudding cheesecake and much more. 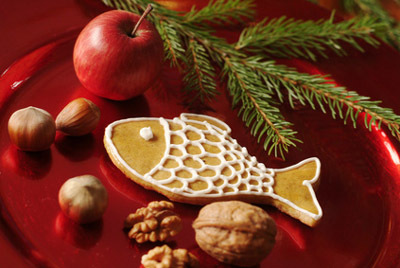 Luxury restaurant Paloma has prepared special Christmas menu. Poached Gillardeau oyster with mushroom brunoise and Chablis Grand Cru sauce, scallops breaded in orange powder served with roasted butternut and chestnut velouté, glazed chicken supreme topped with grated seasonal truffles with thigh and foie gras fricassée with chestnuts and Christmas ball with Mandarine Flavour at the end. Executive Chef at V Zátiší Restaurant has prepared two special Christmas menus. From the Bohemian menu, traditional Kulajda soup with mushrooms, venison paté with smoked almonds or goose with Christmas barley „Kuba“. International cuisine serves pumpkin soup with coriander oil, warm Foie Gras with gingerbread and fruit compote, venison fillet with truffled celeriac purée and much more. Whole December a special Christmas menu will be offered at the Mlýnec Restaurant. The menu includes Christmas snails with semolina pudding and mushrooms, cream fish soup with carp croquette and caviar, then fried pikeperch in combination with Jerusalem artichoke´s salad and also sugar walnuts with buttermilk ice cream. Restaurant in luxury hotel Boscolo has prepared special Christmas 5 course gourmet menu. Salmon tartare with wasabi Tobiko caviar, chestnut cream with marinated ginger and smoked duck breast, dorada filet with grilled scallops, deer loin with carrot purée, pork leg croquette and cardamom sauce and meringue with blueberry, sorbet and white chocolate cream. Restaurant La Boca has prepared rich menu for Christms Eve dinner. Smoked trout, wine sausage with mushroom cholent, fried carp with potato salad, traditional fish soup, duck breast with chestnut stuffing, roast lamb and much more. Restaurant Luka Lu at Malá Strana has prepared Christmas menu. Luka Lu, Balkan restaurant located in Prague city centre, has prepared 3 course Christmas menu. You can choose fish or veal soup, shrimp cocktail or beef carpaccio, fish and seafood mix, black risotto with octopus, veal roast with baked potatoes or sarma (sour cabbage stuffed with meat) and chocolate souffle or Tiramisu.